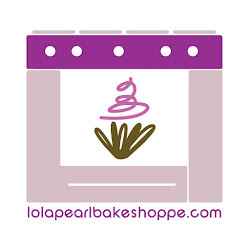 Lola Pearl Bake Shoppe: Super special cupcakes for a super special occasion! Super special cupcakes for a super special occasion! To celebrate a dear coworker's departure into new frontiers, we made these Buffalo Sabres inspired cupcakes. A dedicated fan of our red velvet with cream cheese cupcakes, she requested them in blue and yellow in honor of the do or die game 5 on Friday night. Looks like they were good luck! The Sabres and Bruins will be playing game 6 tomorrow! !